Quadra Island , referred to as the jewel of the Discovery Islands, is situated between Vancouver Island and the BC Mainland, only a 15 minutes ferry trip from Campbell River. More than 100 artists have made Quadra Island their home. On the first weekend of June every year, some 30 artists open their studios for the annual Artists Studio Tour. 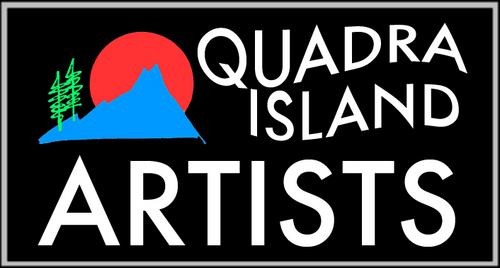 www.quadraislandarts.com contains a complete directory of artists, musicians, writers and the healing arts. Quadraâ��s beautiful location offers a multitude of recreational activities like fishing, biking, hiking, diving, kayaking, sailing, whale-watching and many more. There is a large selection of accommodation from 4 Star Lodges, B&Bs to campgrounds. There are good airline connections to Campbell River via e and Pacific Coastal Airline, (www.pacificcoastal.com) from Cranbrook, Vancouver and Victoria. Vancouver Island Air & Sea www.vancouverislandair.com has charter and scheduled flights on the West Coast. West Jet www.westjet.com. flies from Eastern Canada directly to Comox that is a 1/2hour drive to Campbell River.